MTN Group Ltd., Africa’s biggest mobile-phone company, faced regulatory chastisement in Nigeria, it’s biggest market this week with a central bank directive to return $8.1 billion it said was illegally taken out of the country over five years to 2015. Central Bank of Nigeria Governor Godwin Emefiele in a letter to MTN said the company had brought in $399 million as a loan to the Nigerian unit that was later converted to preferential shares without regulatory approval. On the basis of the change the company went on to export the amount in question as dividend, the regulator said. Four banks, including Standard Chartered Bank Nigeria, Stanbic IBTC, Citi Bank Nigeria and Diamond Bank. 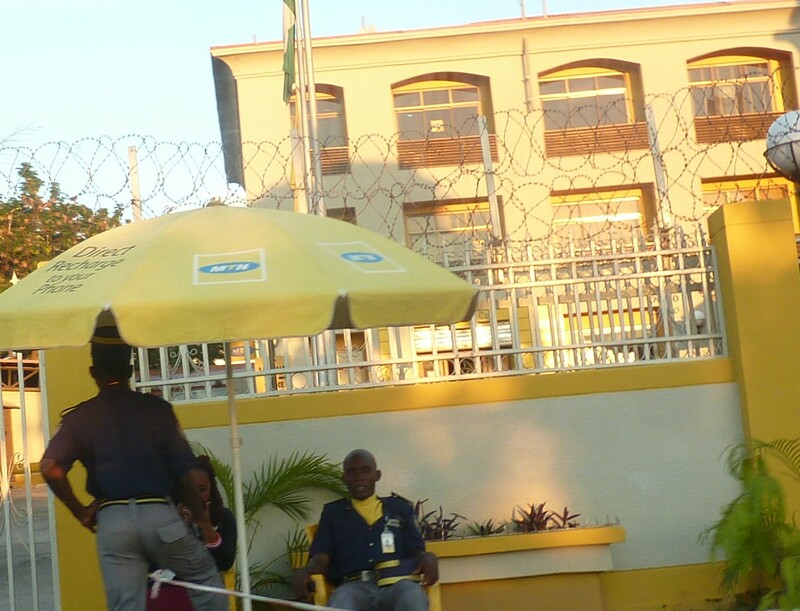 MTN denied any wrongdoing and said it had obtained requisite approvals to remit the funds. For long after the end of segregationist white rule, South Africa tried to heal by avoiding the very difficult topic of land. Under apartheid the best land, more than 70 percent, was reserved for white people who made up five percent of the population. South Africa has, so far, avoided Zimbabwe’s approach of seizing white-held land and handing to cronies. Yet, under Cyril Rhamaphosa’s presidency, the ruling African National Congress indicated in July it will seek an amendment to the constitution to specify when land may be taken without compensation in order to redress the injustice of the past. This has set alarm bells going in white supremacist circles in Australia and the U.S., where there are already rumours of white farmers being killed and their lands taken. Zimbabwean President Emerson Mnangagwa took the oath of office last week for a five-year term of office after the country’s constitutional court dismissed the legal challenge mounted by the opposition Movement for Democratic Change against the victory of his Zanu-PF party. Nelson Chamisa, the candidate of the MDC, had alleged in his petition that he had won the vote and was cheated out of victory. According to the official results, Chamisa won 44.3 percent of the vote to Mnangagwa’s 50.8 percent. The constitutional court unanimously upheld Mnangagwa’s victory. The presidential race of Nigeria’s main opposition People’s Democratic Party is witnessing a crowded starting line as more people fancy their chances of toppling President Muhammadu Buhari and the ruling All Progressives Congress from power in elections due in February. All the four political heavyweights that switched allegiance from the ruling APC to the PDP have indicated their interest in securing the presidential nomination. They include former Vice President Atiku Abubakar, current Senate President Bukola Saraki, Governor of Sokoto state Aminu Tambuwal (a former speaker of the House of Representatives), and former governor of Kano state (also one-time defence minister and currently a senator), Rabiu Kwankwaso. They join a race that already includes more than eight other former or serving state governors that never left the party, such as Ahmed Makarfi, Sule Lamido, Donald Duke, Jonah Jang and Ibrahim Dankwambo. Many analysts see Abubakar as the frontrunner but also note the political resilience shown by Saraki in emerging at the helm in the senate against Buhari’s wishes and surviving a long-drawn war of attrition with the executive. The key challenge for the party will be whether the influential members will remain united behind whoever emerges the nominee. If it can offer can offer radically liberating policies as against Buhari’s conservative, militaristic approach in a nation almost bursting at the seams with restive energy, they stand a good chance of victory.